Business travel is expensive and businesses spend in excess of $1 Trillion per year on corporate travel. Most employees are not checking costs closely as their employers are the ones that are footing the bill. Changing the culture around business travel, Rocketrip incentivizes employees to save money on booking their next business trip. The company’s platform uses a number of algorithms to create an estimated budget for what a particular business trip should cost and employees are offered rewards and incentives for spending less than the expected amount. The company helps companies save up to 30% on travel expenses while rewarding the employees directly with tangible benefits, aligning interests in corporate travel. AlleyWatch chatted with CEO Dan Ruch about the company (a Y-Combinator alum), its origin, future plans, and latest round of funding, which brings its total funding raised to $32.2M over six rounds since its founding in 2013. We raised $15M raised in Series C funding led by GV (formerly Google Ventures) with existing investors Bessemer Venture Partners and Canaan Partners. Rocketrip is the employee loyalty platform that inspires team members to travel smart and earn rewards while doing it. With sharp algorithms, a fresh user experience, and meaningful rewards, Rocketrip makes it easy for enterprises to save cash and thank employees for their choices. Rocketrip’s vision is to help build businesses where employers and employees are equally invested in each other’s success. What inspired you to start Rocketrip? I was inspired to start Rocketrip after learning about a similar program that Google uses to manage its own travel expenses. Going from a cool concept to a viable product required inventing some new technologies; the earliest stages of Rocketrip’s development were spent creating a budgeting tool that used travel pricing data to produce an accurate estimate of what a given business trip should cost. These budgeting algorithms were the first major breakthrough, and are still at the heart of what Rocketrip does. 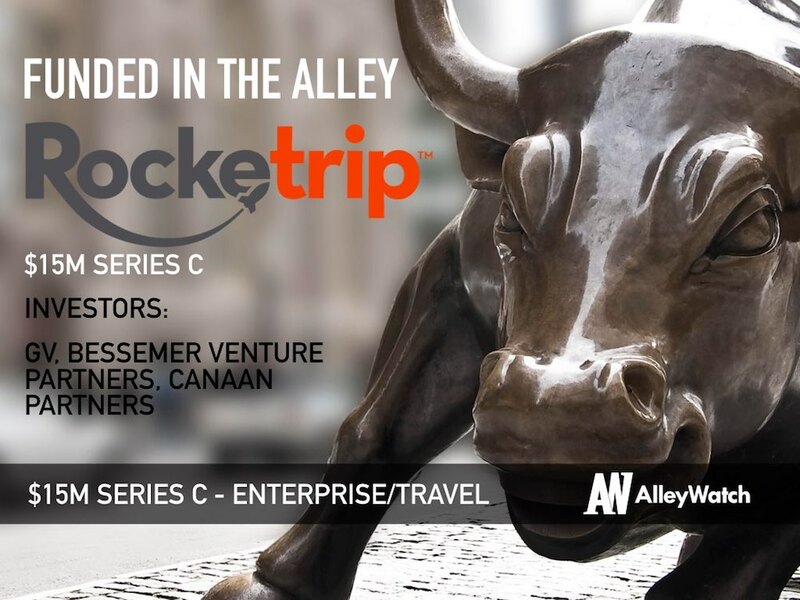 Rocketrip was accepted to Y Combinator in winter of 2014, and later that year the company moved headquarters back to New York City to ramp up client acquisition. Rocketrip works with large enterprises to create better experiences for business travel, addressing a large void in the industry. We have built the first solution that addresses the friction between saving money and thanking employees for the challenges and sacrifices of business travel. What market does Rocketrip target and how big is it? Globally, companies spend over $1.25 trillion a year on business travel and that is projected to hit $1.6 trillion by 2020. We work with large enterprises that are spending millions of dollars on travel each year. What’s the business model for Rocketrip? Rocketrip rewards employees when they spend less on business travel. Before each trip, employees receive a custom budget in their online booking tool that indicates what the trip should cost factoring in the company’s travel policy and negotiated rate and real-time market inventory. If the employee books a trip that costs less than that budget, they are rewarded with Rocketrip Points with which they can redeem for gift cards, merchandise, or donations to charity. Rocketrip charges a management fee based on volume of spend per client. 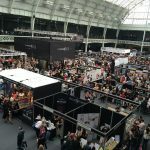 How has your business and industry changed since we last spoke in 2016, after your Series B round? Since our Series B fundraise in 2016, we’ve brought on great talent to help us build product features that supported our growing enterprise customer base. We also cultivated a partner ecosystem with technology partners and travel management companies to create a seamless experience for our clients and their employees. The business has grown to a point wherein our fundamentals, client references, and progress speaks for itself. Every fundraising process is challenging for a multitude of reasons, but this one was particularly fun and engaging. We found a great financing partner in GV, and couldn’t be more thrilled to have them along for this next chapter of our journey. 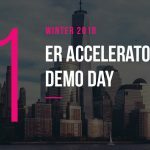 Rocketrip has recently seen a lot of success in the large enterprise space, but many of these clients are (relatively) early in their journey with Rocketrip. Telling the “stickiness” story to investors required a bit of faith in our ability to deliver, since we haven’t been through multiple renewal cycles with this cohort of clients. GV, Bessemer Venture Partners, and Canaan Partners were enthusiastic about participating in this round of funding for a number of reasons. 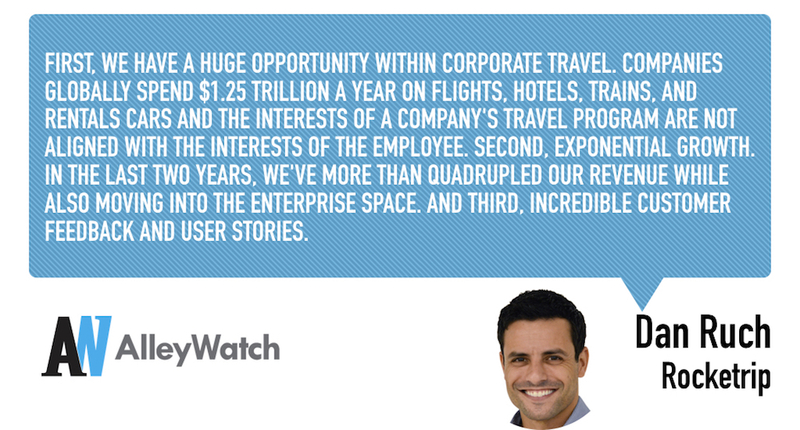 First, we have a huge opportunity within corporate travel. Companies globally spend $1.25 trillion a year on flights, hotels, trains, and rentals cars and the interests of a company’s travel program are not aligned with the interests of the employee. Second, exponential growth. In the last two years, we’ve more than quadrupled our revenue while also moving into the enterprise space. And third, incredible customer feedback and user stories. We’ve received extraordinary feedback from our clients and employees continue to share the meaningful experiences our platform fuels. In collaboration with TMC partners, we’re developing new solutions for managed travel programs. We’ll also be looking for additional talent and experienced leadership to position us for accelerated growth over the next few years. Simplify (for both companies with and without capital). Identify the simplest path to revenue and focus there. Conserve cash as your revenue base builds and offsets cash utilization. Capitalizing on the gap between tolerated employee behavior and optimal employee behavior is a broad mission that the team at Rocketrip is focused on over the next several years. For now, we’re staying focused on solving that challenge in corporate travel. No specific favorite, but Chinese Tuxedo is great. Great vibe, great food. Frankies 570 is also fantastic casual Italian.